An Occasional Guide to Irish Politics: The Curse of the Shoo-In Candidate. It’s a uniquely Irish concept. In other countries, parties brag about how well their candidate is doing. Not in Ireland. In Ireland, candidates, especially ones defending a seat, play up how desperate things are, how bad the campaign is going, how “the seat is gone”. There is nothing a candidate hates more than people saying she’s a dead cert, because in Ireland that’s political death. More people have gone into an election as the dead cert and come out with less votes than Gary Glitter at a National Association of Creches AGM. 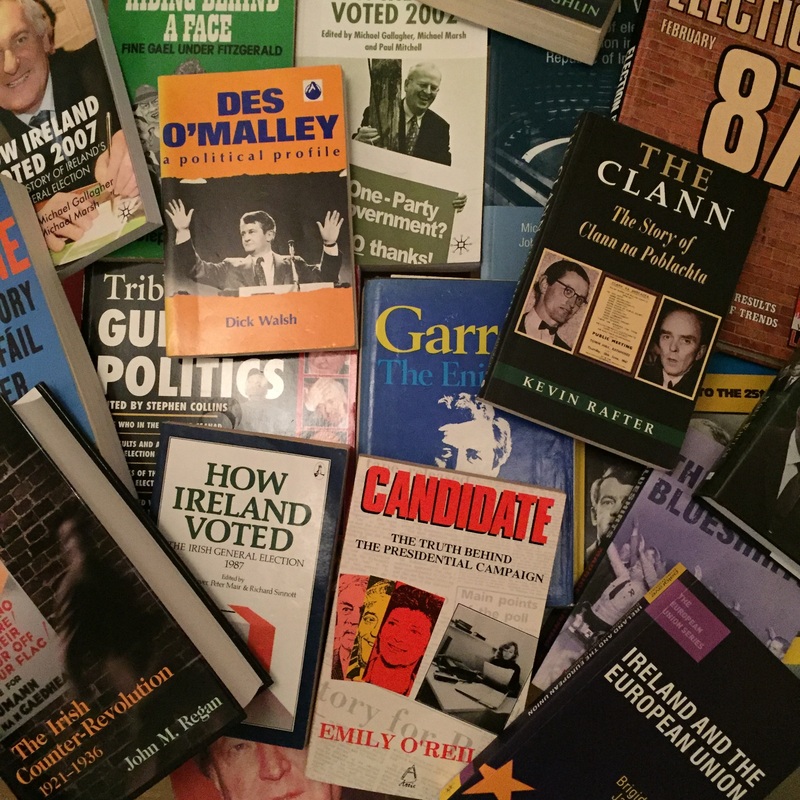 It’s all to do with the second guessing poker nature of the Single Transferable Vote system. STV is a logical, rational and fair voting system which gives voters a wider choice than almost any voting system in the world. It asks voters to select their candidates in order of preference. As a result, there’s little chance of wasting one’s vote on an unelectable candidate. 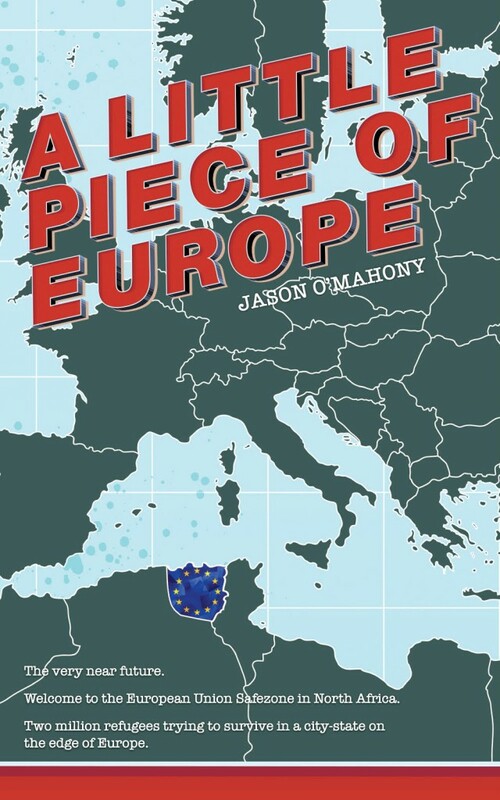 But it never expected that it would have to deal with the Irish psyche, and voters who don’t just consider who they’d like to elect, but who they think other people are going to elect too, and so discount their own vote and transfer their vote to their second choice in the hope of getting a second bite of the cherry. It’s hardly surprising, as this is exactly the same way Irish people choose their third level educational future through the Central Applications Office. They’re asked to pick what course they really want, and instead enter what course they think they’ll get, and are then disappointed when they miss the course they actually wanted in the first place. They then vote the same way. How do you prevent it? Vote for your favourite candidate first. It really is that simple. Really. 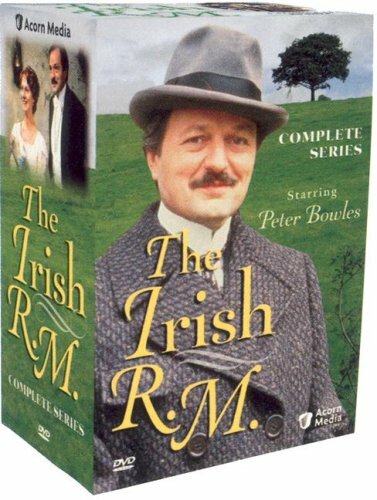 “The Irish RM”, which ran for three series from 1983-85, has unfairly been dismissed in recent years as a bit of paddywhackery about the clever English been driven to despair by the stupid ways of the pre-independence Irish of 1897 to 1905, when it is set. I have to admit that until I rewatched the series on DVD recently I held that view myself, based on vague memories of it on TV as a child. Watching it now, however, reveals that the show was much more subtle and balanced in its portrayal of the two countries and their views of each other. Indeed, if one is being honest, it’s arguable that there is one only episode, its final one, where the English score a clear victory over the Irish. As Yates himself discovers, what looks to an outsider like a bit of Irish stupidity is almost always revealed to be hiding some scheme behind it. Set in a rural Cork district in 1897, the series tells in comedy drama form the tribulations of Major Sinclair Yates (Peter Bowles), a decent if unimaginative new appointment as the resident magistrate. Yates finds that not only does he have to deal with the Machiavellian smoke and mirrors of the local Catholic rural poor, but also the Protestant Anglo-Irish ascendancy who are often hand in glove with the Catholics against the stiff rule of Dublin Castle. The show was well received in its first broadcast, not only for its entertainment value but also for the fact that it was one of the few major TV drama productions filmed in Ireland in the mid-1980s, and provided a platform for a Who’s Who of Irish acting talent including Bryan Murray in a career-defining role as the roguish but lovable Flurry Knox, Niall Toibin as his equally roguish henchman Slipper and Anna Manahan as the terrifying Mrs Cadogan. Everybody else from Mick Lally, Noel Purcell, Frank Kelly, Joe Lynch, Alan Stanford, Lise Ann McLaughlin, Pat Laffan, Eamonn Morrissey, Brendan Conroy, Virginia Lawless, David Kelly, Jonathan Ryan and others all got their bit. In fact, it’s quite possible that no one in Ireland over 40 has not met someone who was in it at some stage. Off the top of my head I can think of three people I’ve met who had roles in it. Retweet this if you’ve met one of them! The humour is gentle, and there is a little bit too much chasing a goose around a garden type shenanigans for my liking, but it is a charming show with some top class performances. Worth another look. One of the curiosities about recent TV and movie drama set in tyrannical futures is that they tend to be set in an overhyped right-wing future, dominated by fascism, the religious right, or big business. It’s quite rare that, with the exception of Orwell’s 1984, which could just as easily be about fascism, you come across a fictional portrayal of a recognisable left wing tyranny dominated by, say, the unions and an overbearing state. In today’s climate, the idea of union leaders actively dominating a country’s political system is pretty far fetched, but in the 1970s in Britain, it wasn’t that radical an idea to extrapolate past the industrial chaos of the 1970s into a Socialist dominated Britain. Ironically, it was that bastion of liberalism, the BBC, which produced the concept. 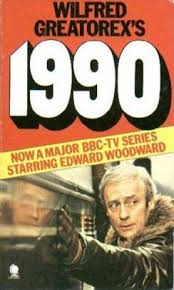 “1990″, starring Edward Woodward as a rebellious journalist facing down the government’s menacing Public Control Department, ran for two seasons in 1977/78. 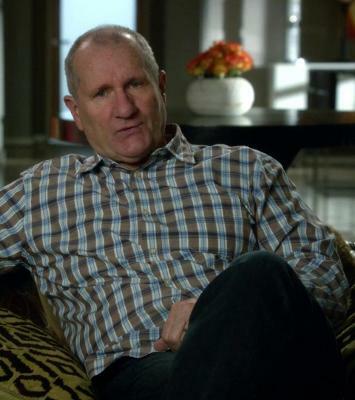 Like most drama produced in the 1970s, it’s studio bound talkiness can be quite irritating to a modern TV audience used to speedy plot progress, save maybe for “Mad Men” fans, of course. I can’t say that I really recommend it as entertaining (You can find most episodes on Youtube and make your own judgement) but as a political concept piece it’s quite interesting for its novelty. The show is set in a fictional 1990, seven years after the economic collapse of Britain leads to the coming to power of a hard left union dominated government in a general election where only 20% bother to vote. The government implements all the classics: nationalises nearly all business, introduces penal taxation, taxes imports and luxury goods and bans overtime (to create job sharing). 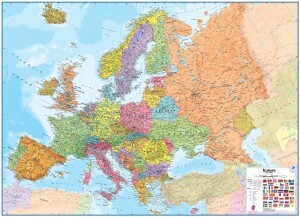 It deals with the “rich fleeing high taxes” problem by introducing an East German exit visa system. You simply can’t leave, and a lot of the show is about Edward Woodward’s resistance leader Jim Kyle trying to help mostly talented people, or political dissidents, get over the English channel. What’s interesting about “1990″ is the subtlety. 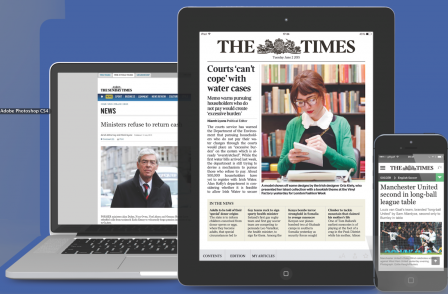 The country is still nominally a democracy with a parliament (although fresh elections are indefinitely postponed), and there’s still a few non-state owned newspapers, but try to print anything overly critical of the state and the union shop stewards basically refuse to operate the printing presses. It’s an very right wing dramatic viewpoint that is hard to imagine on television today. The Home Office’s Public Control Department (PCD) basically operate as a relatively non-violent Stasi, sending opponents of the regime off to Adult Rehabilitation Centres where they’re electroshocked into being good citizens. The state doesn’t like open Soviet style violence, because of the poor publicity it causes in the rest of Europe and the US, and so pressures people in more imaginative ways, such as Automatic Systematic Harassment, where an individual is targeted and subjected to every single legal inspection possible. Your car is constantly checked to ensure it’s legally compliant. Your taxes are scrutinised. Every form you have ever signed is gone over to see if you made any errors and therefore possibly broke the law. Your bins are checked to see if you are dumping things you shouldn’t be dumping. All legal, and individually all reasonable actions even in today’s society, but taken together it’s “the slow steamroller of the state”. The cast isn’t bad, with Woodward (who shared the show’s conservative anti-tax philosophy) beginning to develop that shouty acting style he would later bring to “The Equalizer”. But it is very slow. Apparently, by the way, the concept of the show came to writer Wilfred Greatorex after his house was raided by VAT inspectors! If you are going to watch the series, don’t read this, because I wanted to comment on how the series concludes. Right, you’ve been warned. One of the basic premises of the show is that high ranking civil servants, although nominally under political control, are actually in charge. In the final episodes the Home Secretary Kate Smith (played coquettishly by the late Yvonne Mitchell, in her final role, and portrayed as a cross between Barbara Castle and Margaret Thatcher), a supporter of the regime, begins to realise that the public is tiring of the PCD, and betrays the PCD on television, announcing that the cabinet are shocked are the abuse of power by senior PCD officials. She actually leads a mob of angry citizens on a raid on PCD headquarters, but makes sure that they don’t destroy the PCD’s vast computer database because it’ll be allegedly needed for the trials of the PCD officials she’s only been instructing days previously. It’s a wonderfully cynical performance, and although it does herald a return to normal civil liberties and politics, it ends the series ominously. Where Eight Bells Toll: When Anthony Hopkins was an action hero. Before his breakthrough role (all less than 20 minutes of it) in “The Silence of the Lambs” in 1991, Anthony Hopkins had been a successful if moderately well known actor. 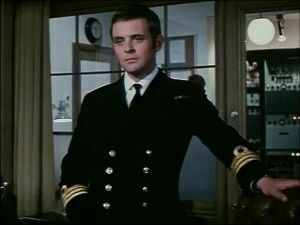 In 1971, he starred as British secret agent Commander Philip Calvert in the film of Alastair Maclean’s “Where Eight Bells Toll”, which was intended to have been the first in a series of movies about Calvert. I posted the below scene, which is the last scene in the movie (it does not really ruin any plot) because it highlights the character, and the theme tune which will bounce around your head for days afterwards.